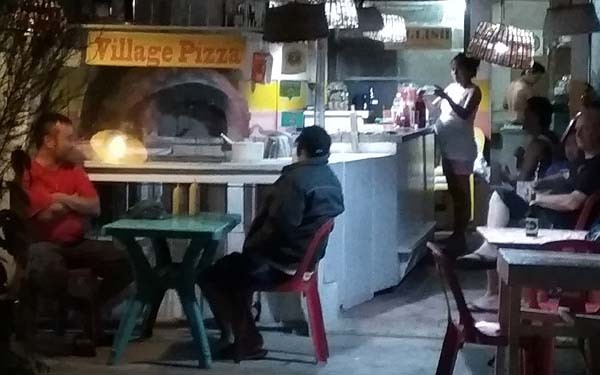 I'm a pizza guy, so one of the surprises I had in Loboc is Villagio Pizza. 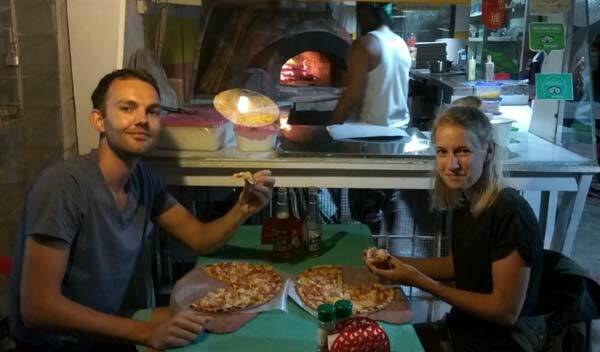 It cooks pizza using a wood-fired oven and it serves cold Cerveza Negra - 2 things that don't happen too often in big cities, let alone in a small municipality. This pizza joint has no pretention whatsoever. The chairs / tables are spartan and space is small even though it opens up to the street. The kitchen is open so you can see the cook prepare the pizza from dough until it's tossed inside the wood-burning brick oven. Preparation is meticulous and detailed. This is joint is the closest thing to a neighborhood hangout. They have a vegetarian offering but best to order in advance so they can source the veggies. 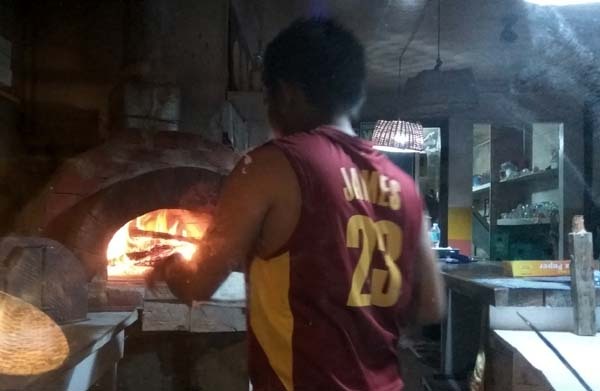 They serve traditional pizza offerings but also some specialties like Creamy Carbonara with Chicken pizza - kinda like a mix-match of their viand meals made to top a pizza. Great try! Since I'm acquainted with the owner, I rolled-up my sleeve for my Agent Orange - a carrot overload pizza. I grate a carrot on top of the pizza before the cheese topping - this way, the carrot isn't too cooked. When the pizza is done, I add another layer of freshly grated carrot. For added flavor, I would add a sprinkling of grated turmeric and ginger. That's what I love about pizza - you can throw anything on it! Smores is a Canadian campfire roasting of marshmallows and chocolate on Graham crackers - it's to die for! I was on a roll. Next, I offered to prepare traditional smores to the staff - and we did. 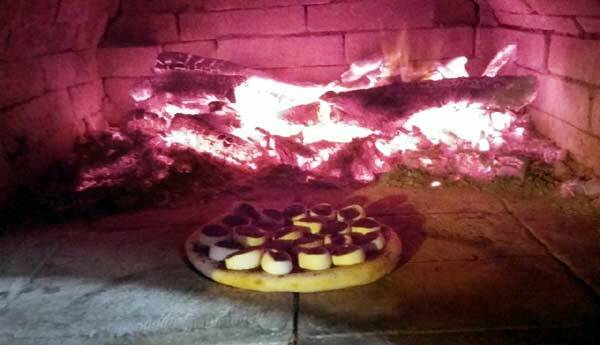 But then, I was thinking, intead of Graham crackers, why not use a pizza dough instead, put the marshmallows and chocolate on top and put the entire thing into the wood-fired oven? And we did! It took a few trys to perfect the dessert offering. Hey, maybe you see it on the menu next time. 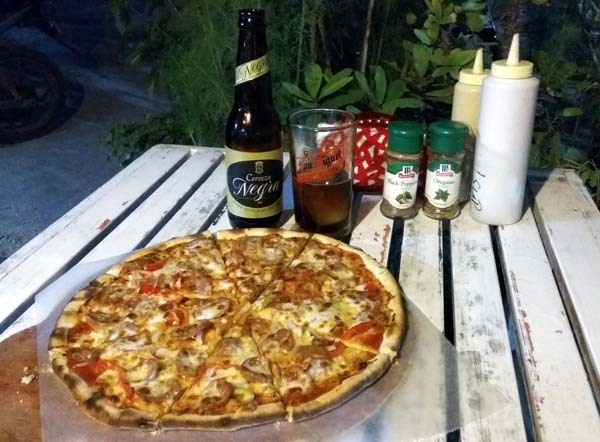 Villagio's is a good chill out place for friends looking for great pizza, laid back atmosphere and good conversation. 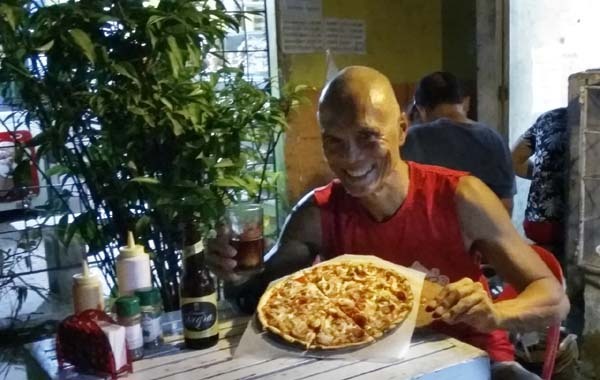 You might have to travel a great distance to find another pizza joint with a wood-burning oven serving cold Cerveza Negra. 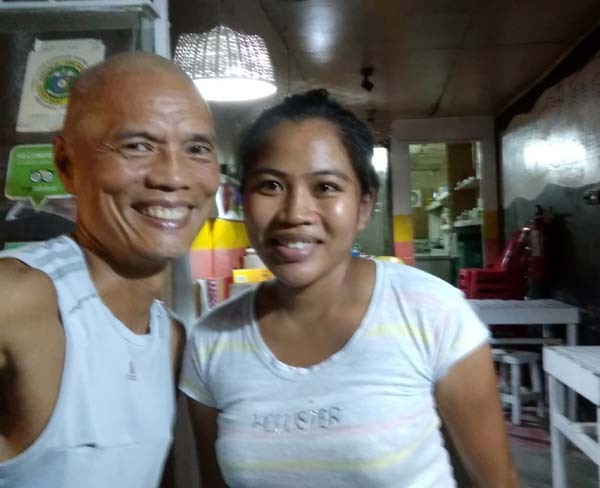 Stop by for treat if you're in Loboc!